"Awareness in and of itself is healing"
At the center of the Gestalt perspective is the concept of awareness. Awareness means to be directly connected to the sensory input of the five senses as well as being in touch with the experience of the interior of the body at a given moment. It means to be aware that one is aware, that one is the observer of one’s mental processes - one’s thoughts, images, feelings, emotions and memories - that sometimes only present as fragments and that come and go by themselves. Gestalt believes that an individual's level of psychological functioning is based on its current awareness. As greater the awareness as higher the level of functioning in any given moment. If we believe in the potential of individuals to be in charge of themselves and their ability to take responsibility for who they are , then the core precondition to effecting change in an individual is the expansion of one’s awareness. By raising awareness, we enable ourselves to take charge of our Self - of who we are. That allows us to make the changes that are most appropriate to the situation we find our-self in and that is in our best interests. Awareness of being aware is the base of Mindfulness. A basic aim of Gestalt therapy is to help the client to recognize the awareness continuum, meaning the constant freely ongoing Gestalt formation that is the mental process, where what is of greatest concern and interest to the organism (person), the relationship, the group or society becomes Gestalt, meaning it takes form as the foreground, where it can be fully experienced and coped with (acknowledged, worked through, sorted out, changed, disposed of, etc.) so that it then can melt back into the background (be either forgotten or assimilated and integrated) and leave the foreground free for the next relevant Gestalt (Form). Some things are more important than others, and what (Figure) we choose to arrest our gaze upon shapes the experience of our life in a given moment. How we perceive the information that is available to us, and how we choose what action we will take, depends on the full amount of information that is available and includes the meaning we assign consciously or unconsciously. we ascribe meaning based on our perception and understanding of the context (Ground) in which an experience occurs. This encompasses situational data as well as data about our physical as well as emotional reaction and experience. Based on that, we make choices about what we will focus on, meaning what we will foreground above anything else, which is what we call Figure. The greater the Ground work, the better the figure. Raising awareness is often about adding information to the Ground (Context) before a person chooses to focus on a Figure. Power is in the present moment. All there is, is the moment! The only moment that is significant is the present one! Nothing exists except the Now, the past is gone the future has not yet arrived. To be fully aware is to live in the Here and Now. The Here and Now, the present, is understood as the intersection of previous choices (now integrated into a self) and the process of projecting oneself forward at each moment – anticipating, dreading and planning. self-awareness We do this by developing the skills for connecting as well as learning to identify and remove the barriers to good contact. The point at which Self, the “me” meets the Other, the “not me” and where the Contact Boundary is either made, respected or broken. It refers to the experience of being aware of one’s Self and the other as his/her own person, as a separate individual with his/her own motives, feelings, thoughts etc. Gestalt practice is distinct because it moves toward action, away from “talking about,” and for this reason is considered an applied or experiential approach. Through trying new ways of doing things, new behaviors, the Gestalt therapist supports the individual’s direct experience of something new, instead of merely talking about the possibility of something new. And by doing so the therapist allows and fosters a deeper exploration of one’s defenses and resistances to change. 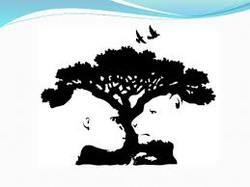 An Axiom, taken from Gestalt Psychology is that the Whole is Greater than the Sum of its Parts. Gestalt aims at integration of disowned and/or conflicted parts of the Self. The client is encouraged to experience each part and take ownership. A basic believe is that Psyche always moves towards wholeness and integration. Integration is the natural result of coming to radical acceptance of each aspect or part of the Self. then you make everybody your judge." Gestalt firmly believes in the responsibility and dominion of the individual for itself. It is only by taking responsibility for our decisions and actions that we are able to change and improve our experience and interaction in the world. It is up to the individual to change itself. In accordance with Gestalt therapy, people are seen as being in charge of themselves or "response able". That means, they can determine the way to behave and therefore are encouraged to take responsibility for their behavior. It is common for people to confuse accountability with Self- blame. Gestalt therapists consider that it is essential to make a clear distinction between one's wants or desires – one’s interior mental process - and the way one relates toward the other or toward one’s environment. There is a clear distinction between behavior on the one side and feeling or thought e.g. the interior mental process on the other. People are in charge of their behavior and have choice or freedom of how to respond to the other or to their environment. Each Person is the owner of her Self – her interior – and is held accountable for that Interior, regardless of what goes on inside of it.